Ski Trip — Christina Made It. 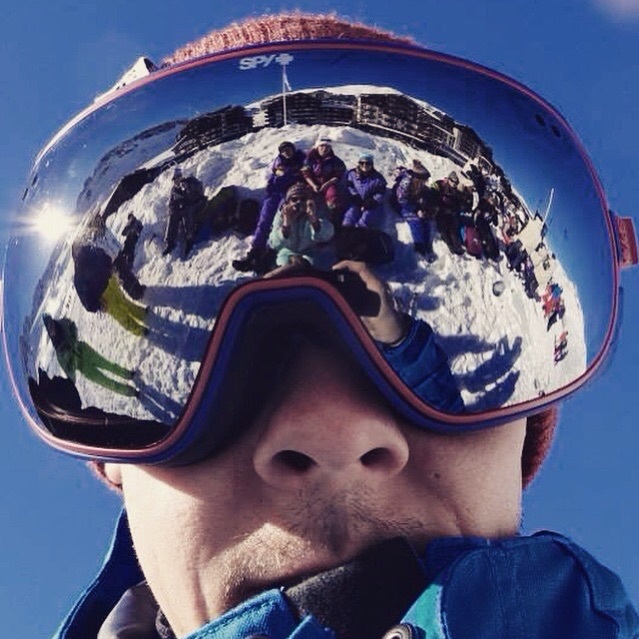 To start 2015 I headed off to the snowy mountains of Tinges (pronounced 'teen') in France for a week. I've been on a couple of ski trips before but this time I decided to try snow snowboarding. I absolutely love the scenery in snowy climates I'm always amazed at the views when we go up in the ski lifts. 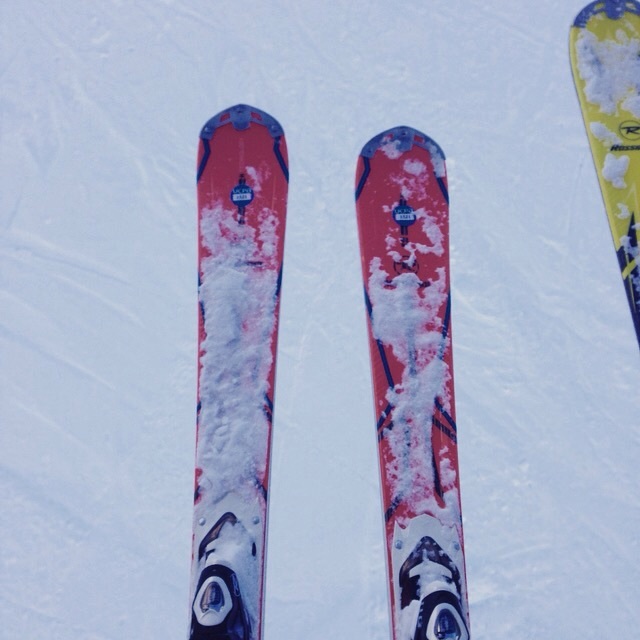 After attempting and failing to figure out the complexity of snowboarding I switched to ski's. Mainly so that we could head over to the awesomeness that is Follie Douce. Follie Douce is a club at the top of the mountain, the only way to get there is by ski's (or snowboarding) and since there was no way I was going to make it snowboarding we skied there instead. You can hear it before you see it! Then when you do get there all you see is a sea of heads and a rainbow of multicoloured ski outfits, it's such a great atmosphere. If there is space on a table it seems to be a rule that you have to get up and dance on it (in your ski boots - perfect for dancing) great fun, loved the live saxophone player too. My favourite evening was when we headed to the yurts and sat around the camp fire with soup and wine. We had our main meal inside the yurts which seated about 30 of us, where we had a bread and meat platter and for dessert meranges dipped in sugared cream, yummers. I appreciated the decoration here especially the log seats. Even better on the way down from the yurts we all jumped on tobaggedans and headed down a ski run in the pitch dark (the route lined with guys wearing head torches to stop us going off the edge of the mountain..) at 30mph - actual speed as timed by our ski app!! Literally so much fun! Baked Camembert for two? I'll just be having that for one thanks! Yes it did taste as good as it looks. I ate ALOT of cheese on this holiday. On the last day we took a ride on the Funicular (a train that runs through a tunnel on the side of the mountain) to this awesomely decorated bar and had some hot chocolates. This is how I plan to decorate my house, 10 out of 10 to the interior designers! This was where I spent most of my days at the bottom of the slop attempting (poorly) to snowboard. To anyone wanting to try skiing or snowboarding I would strongly recommend learning to lesson 5 at the snowzone (snow centre with real snow - there's one in Milton Keynes) before you go. That way when you arrive to your ski destination you can have a couple of refresher lessons and then go straight to the main slopes to get the most out of your ski holiday. Note: anyone reading this post that has seen the film Chalet Girl learning to Snowboard is not like the film, it's super difficult and takes ages to pick up especially if you learn while you're out there, the film is all lies! She makes it look so easy and cool, it's not, well it's cool when you can do it if you ever figure it out but it's definitely not easy!